The gem design approach with clean lines and tapered edges carries through in our IW-H5 Elite speaker. This design begs to be exposed on-wall however we've designed its cabinet depth to allow for a comfortable fit into any home theater wall assembly while maintaining a similar volume of its in-cabinet counterpart. Whether exposed or integrated this speaker performs as well as it looks. The IW-H5 Elite uses our world renown technology for which the H5 Elite series is known for. The LMF Driver technology™, beryllium tweeters, carbon fiber driver cones and expanded volume makes this in-wall cabinet sound and perform more like an in-cabinet speaker by preserving its low frequency response. 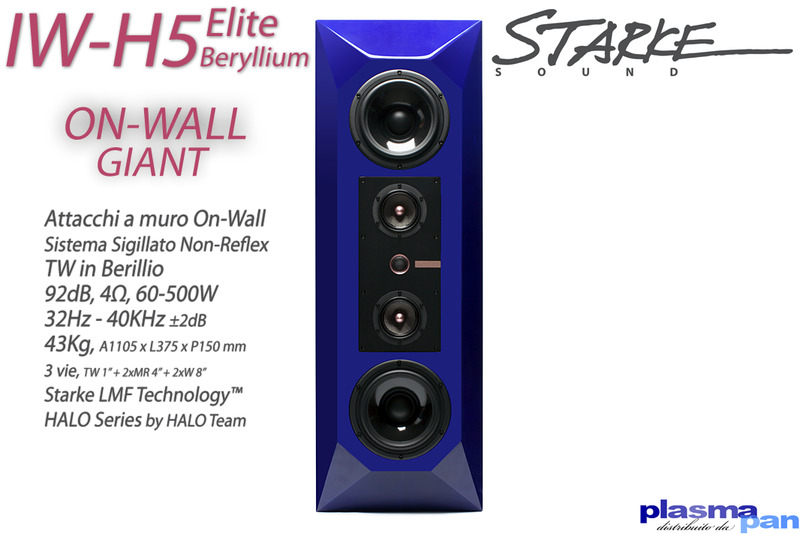 The IW-H5 Elite design and technology make it one of the best in-wall & on-wall speakers in the world.